Sign language is popular! Why? Because, this past year, Deaf actor, dancer and model – Nyle DiMarco not only took top honors as America’s Next Top Model, but also won with partner, Peta Murgatroyd, Dancing with the Stars ! An amazing feat! It was exciting to see how Nyle seamlessly weaved his world of ASL with dance. Moreover, his enthusiasm for sign language has had a serious trickle down effect – as many hearing people now are motivated to learn this beautiful visual language. If you are a person who would love to learn the basics of sign language, but don’t know where to start – let me help! I put together a series of videos now available on my YouTube channel and just added my 5 TIPS to LEARNING SIGN LANGUAGE (also posted below). Shamelessly, I will add here that you will find resources, free videos and downloadable sign language images on my website – SIGNING FAMILIES. Before I end this blog with the 5 Tips for Learning Sign Language videos, I want to publicly thank Nyle for all he does to promote ASL in our communities and for advocating for Deaf children and bilingualism. BRAVO! 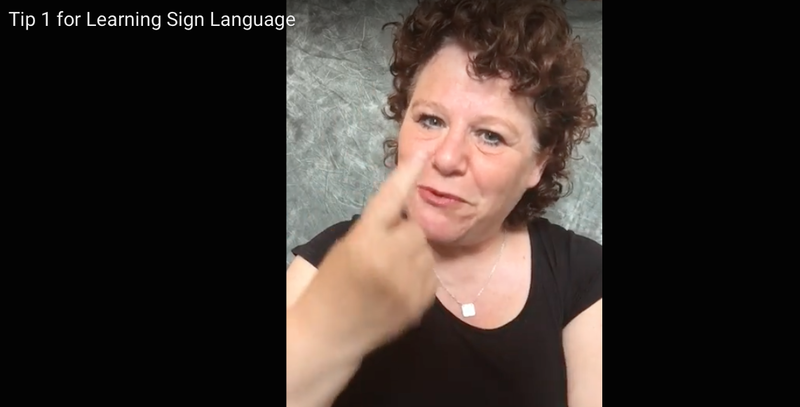 Get your fingers “warmed up”… here come my 5 tips for learning sign language! TIP #1 : Learn 5 NEW signs daily! Tip #2 – PRACTICE! EVERY SINGLE DAY! TIP #3 – Learn from native ASL users – Deaf signers! TIP #4 – Sign what you see! TIP #5 – We all make mistakes!